Visit Peanut Butter’s Website to learn more about how they work to alleviate Student Loan debt. Invented by George Renninger, a candy maker at the Wunderle Candy Company of Philadelphia in the 1880s, Candy Corn was originally called “butter cream candies” and “chicken feed” since back then, corn was commonly used as food for livestock. Would you believe that they even had a rooster on the candy boxes?! 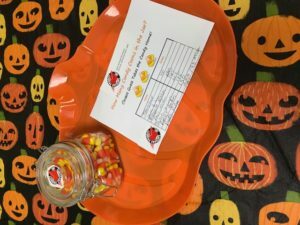 The classic candy, which is now synonymous with Halloween, is one that everyone here at Priority Envelope made sure to enjoy today. Even with all of the candy, fun, and games of the holiday we still managed to have a productive and successful day. Priority Envelope takes pride in promoting a better understanding of the sustainability and versatility of paper and encourages employees to embrace this vision. As a team we all collaborate to make that vision a reality every day. 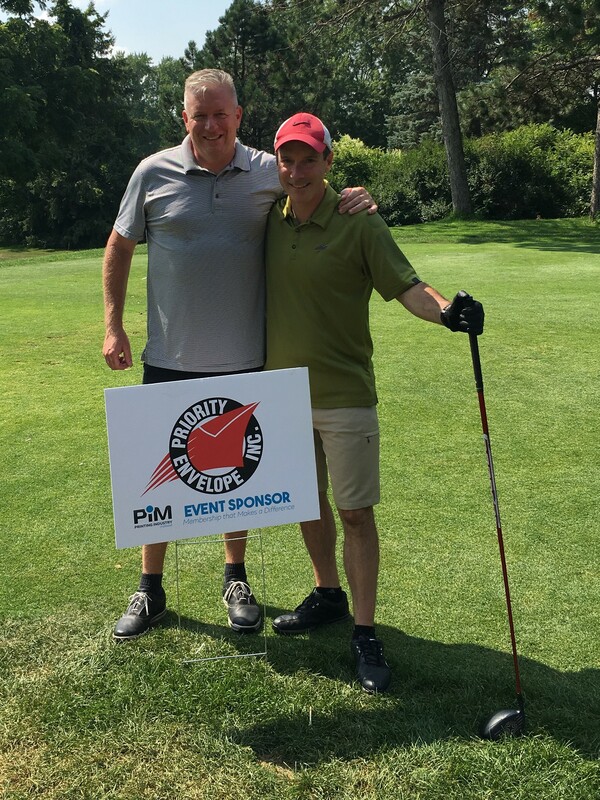 PIM’s mission is to be the leading resource to enhance the strength and profitability of the printing, graphic communications and related industries through advocacy, education, safety and environmental information. Every year they put together Annual Golf Tournaments, which Priority Envelope proudly gets involved with. Priority Envelope provides innovative, top quality, affordable print services in areas such as envelope printing, window envelopes, custom envelope products, and a variety of promotional envelope applications. Each year Priority Envelope performs several TPM (Total Productive Maintenance) Kaizen events within its’ production area. 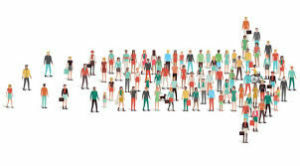 Kaizen events are part of Priority Envelope’s commitment to total quality management, allowing us to produce quality product for our customers. Just recently our Kaizen team spent 3 weeks making the “Aqua” line new again. The employees involved with this project were solely dedicated to completing the renovation. Thank you to all of those involved in this continuous improvement process- your efforts are truly what allows us to be our customer’s best supplier! 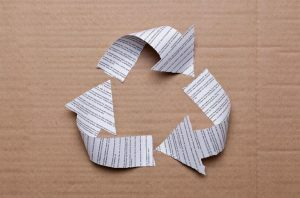 The American Forest and Paper Association recently announced that in 2017, 65.8% of paper consumed in the US was recycled. “Paper recycling brings continued economic, environmental and social benefits to communities across the country,” said AF&PA President and CEO Donna Harman. Paper recovery for recycling helps extend the useful life of paper and paper-based packaging products, making it an integral part of the industry’s sustainability story. The industry has a goal to exceed 70 percent paper recovery for recycling by 2020 as part of its Better Practices, Better Planet 2020 sustainability initiative. 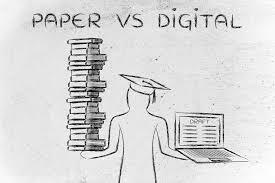 U.S. paper recovery rate statistics are available Here . 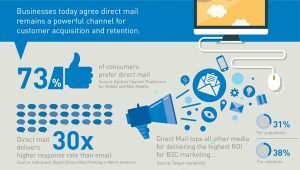 Despite the perception in the marketing industry that direct mail is less effective than digital channels, the Direct Marketing Association (DMA) found that direct mail’s response rates were 10-30 times higher than digital’s. Using transactional data from Bizo and Epsilon, the DMA analyzed more than 29 billion emails and 2 billion online display impressions to track consumer actions both immediately following a click and in the days and weeks after being exposed to an online ad. Results from an Epsilon Targeting survey performed in 2011 show that direct mail continues to serve as the channel of choice for receipt of marketing information in many categories. It was also deemed the most trusted. 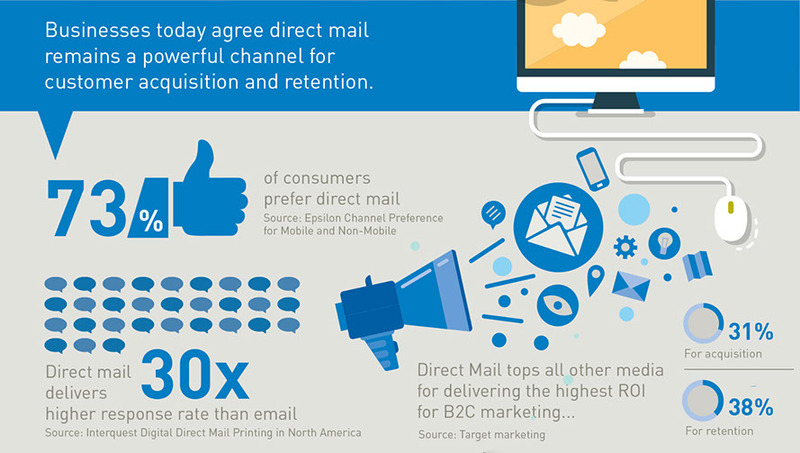 Businesses today agree that direct mail is a powerful channel to acquire and retain customers. 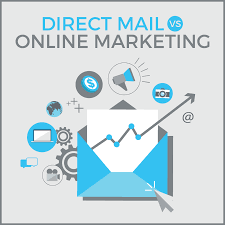 That makes sense as direct mail is highly targeted with measurable results. The format is familiar and versatile. It’s cost effective and supports other marketing efforts of your company. It was introduced by Rep. Mark Meadows (R-NC-11th) and cosponsored by Reps. Steve Russell (R-OK-6th), Dennis Ross (R-FL-15th), Elijah Cummings (D-MD-7th), Gerry Connolly (D-VA-11th), and Stephen Lynch (D-MA-8th). 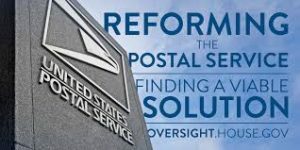 The bill requires the USPS to come up with a plan to manage its debt, taking into account “projected changes in mail volume, projected changes in the number of employees needed to carry out the responsibilities of the Postal Service, the long-term capital needs of the Postal Service, including the need to maintain, repair and replace facilities and equipment and the distinctions between market-dominant and competitive products.” The goal is to stabilize the USPS as an integral part of domestic and international supply chains.